Is Adoption Permanent? Can I Reverse Adoption? An adoption can be considered a “forever decision” in that, once finalized and approved, it is nearly impossible to undo and reverse the adoption. An order granting an adoption is usually the result of a months’ long – if not years’ long – process, but such an order can provide much-needed stability and certainty in a child’s life. It is for this reason that the law generally does not allow adoptions to be “undone” at a later time. Notwithstanding this, however, the law also recognizes that parents have rights and responsibilities when it comes to their children and believes that these rights and responsibilities should not be severed except in limited circumstances such as a properly-executed adoption. As a result, mistakes in the adoption process can leave the order of adoption open to attack and invalidation. 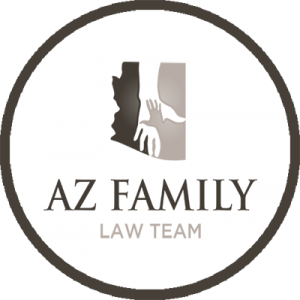 Child abandonment is one of the situations which will support the involuntary severance of a parent’s rights (each state can have its own definition of “abandonment”). Nevertheless, before a court enters an order severing a parent’s rights involuntarily to allow an adoption to proceed the party seeking the adoption must attempt to serve notice of the adoption proceeding on the other parent and give that parent the opportunity to object to the adoption or participate in the hearing. 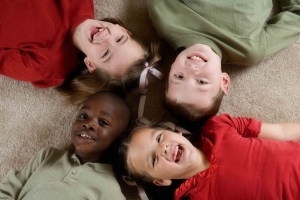 There are specific laws governing how an absent parent must be served in these circumstances. If the party seeking adoption fails to follow these laws, the other parent may be able to overturn the adoption order and have his or her day in court to reverse adoption. The party seeking an adoption alleges the other parent has abandoned the child for several years. This party has no evidence to back this claim up. The other parent presents travel receipts, letters, and phone logs showing attempts to make contact with the child for several years. The court finds by “clear and convincing evidence” that the parent has in fact abandoned the child. Under these circumstances, an error may be found by an appellate court because there is no evidence supporting its factual finding. The party seeking an adoption alleges the other parent has abandoned the child. In this particular jurisdiction, “abandonment” means failing to make efforts to see the child for a period of two or more consecutive years. The party seeking the adoption presents evidence that it has been over one year since the other parent attempted to contact the child or see the child. The other party presents no evidence. The court finds that the other parent has abandoned the child and allows the adoption to proceed. Here too, an appellate court may find error since the facts do not meet the legal definition of “abandonment” and thus the court’s legal finding that the other party has abandoned the child is erroneous. Because adoptions provide much-needed stability to the life of a child, the law affords individuals only a limited window within which to seek to invalidate the adoption order. It is important, therefore, to act quickly if you believe you have grounds to challenge an adoption order to reverse adoption. 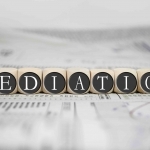 Can Family Law Court Refuse Mediation Agreement? 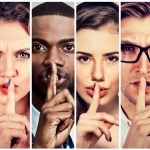 Can a Secret Recording be Used in a Divorce Case?